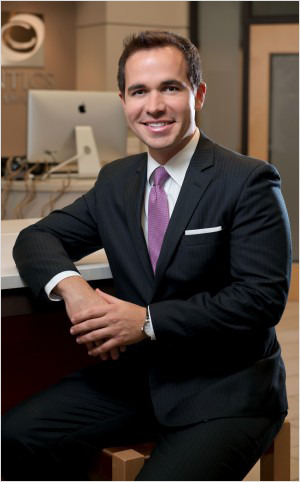 Dr. Dustin S. Burleson is a speaker, teacher, author, and orthodontic specialist. Since founding Burleson Orthodontics & Pediatric Dentistry in 2006, 1,941 orthodontists have traveled to Kansas City from 23 countries to learn from Burleson’s vision to change lives, advance the profession of orthodontics and support his community. Together, he and his students treat hundreds of thousands of patients throughout North America each year. He writes five professional newsletters monthly, is the director of the Leo H. Rheam Foundation for Cleft & Craniofacial Orthodontics, teaches at both Children’s Mercy Hospital and the UMKC School of Dentistry while operating a large multi-clinic orthodontic and pediatric dental practice in Kansas City, Missouri. His practices have personally transformed the smiles of over 15,000 patients right here in Kansas City and he has helped more children through the Smiles Change Lives non-profit organization than any other doctor in North America. The author of the Amazon best-selling consumer book, “Stop Hiding Your Smile!,” Dr. Burleson has been invited to speak throughout the world and has shared the stage with celebrities and athletes who mirror his passion to help more people live healthier, happier lives. A two-time Inc. 500 | 5000 honoree recognized for building one of the fastest-growing orthodontic specialty practices in North America, Dr. Burleson was also awarded the American Dental Association’s prestigious Golden Apple Award in 2014 and the Missouri Dental Association’s Outstanding Dental Leadership award in the same year. Dr. Burleson provides over $1 million in free orthodontic care to cleft lip and palate children each year. His practices have worked with the prestigious Disney Institute and Ritz Carlton to bring the same “wow” experience to the smiles of patients both young and old. Asked what makes his practice different, Burleson quickly replied with a warm smile, “It’s our people, our culture, and our commitment to do whatever it takes to serve the best interest of our patients and their families.” He continued, “even if that means referring them to a cheaper option in town, or to one of his non-profit foundations when parents are unable to afford treatment at a Burleson facility.” Burleson’s offices at last count have over 30,000 satisfied parents, with patients traveling from cities as far away as Chicago, New York, and San Francisco to be treated by one of Burleson’s certified smile specialists. Kevin grew up in California, North Carolina, and Kansas City. He graduated from T. W. Andrews High School in High Point, North Carolina. Kevin comes to us with a strong background in psychology and health care administration. He holds a bachelor in psychology degree from the University of Missouri- Kansas City and a master in health services administration from the University of Kansas. He Enjoys: Spending time with friends and family, the new challenges and opportunities at Burleson Orthodontics. Amanda is from Blue Springs, MO. She graduated from Blue Springs South High School in 2007. Amanda also graduated from dental assisting school in 2009. She Enjoys: Going to the lake, shopping, and the happy smiles on her patients’ faces when they get their braces off! She Enjoys: Burleson Orthodontics’ awesome staff and wonderful patients. She Enjoys: Hanging out with her husband and children, the orthodontic field and working at Burleson Orthodontics, spending times with patients and helping them achieve a beautiful smile. Sarah grew up in Liberty, MO, where she graduated from Liberty High School in 2007. If Sarah is not at work you will most likely find her at home with her one-year-old son. Sarah has a strong background in restaurant management. She would love to continue her education to one day achieve a law or adolescent psychology degree. She Enjoys: Arranging flowers, baking beautiful, tasty pastries! Kim was born and raised in St. Louis, MO. She attended college at Truman State University, receiving a BS in Pre-dentistry while being involved in a sorority and cheerleading. She lives in downtown Kansas City. 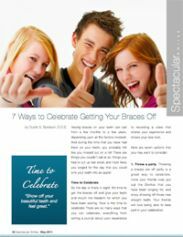 A fun fact is that she has had braces 2 times, so she loves to relate to our patients’ experiences and see their new smiles when the braces finally come off. She Enjoys: Spending time with friends, going to concerts, and exercising. She Enjoys: Reading books, cooking unique dishes, and as much laughter as her little tummy can handle. Cali graduated from the University of Kansas in 2003 with a Bachelor’s in Psychology. She began working for her family’s business for 5 years and then decided she wanted to pursue a career in aesthetics. She graduated from aesthetics school in 2008. Cali feels very passionate about the aesthetics of skin, teeth and overall wellness of the body. She began working for Burleson Orthodontics in June of 2014 and feels very excited to be a part of the Burleson Ortho Team. She loves educating patients about the esthetics of teeth and where a great smile can take you. She Enjoys: Cooking, baking, practicing yoga, a hard workout, and enjoying a glass of fine wine with her amazing friends and family. She’s also crazy in love with her 3 lb. Yorkie named Annabella! She Enjoys: Spending time with her family and friends, playing hard on her softball and volleyball teams. She Enjoys: Hanging out at the local coffee house, spending quality time with family and friends. Ashley is originally from southwest Iowa and traveled south after high school to Maryville, Missouri, where she attended and graduated from Northwest Missouri State University with a BS in Psychology and minor in Sociology. 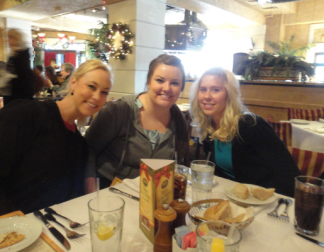 After graduating from NWMSU, she moved to Kansas City. Ashley enjoys the patients she sees and helping them achieve their new, beautiful smiles. She Enjoys: Reading, watching movies, yoga, traveling, and trying new restaurants. 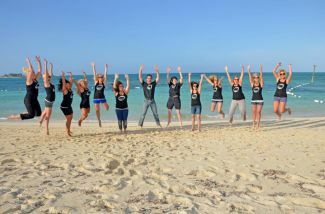 Brittany Tucker is an enthusiastic medical business consultant and dynamic speaker with experience in training over 150 doctors across the country and internationally. Her expertise in dental consulting and sales training from a Fortune 500 company, combined with her passion for helping others, makes her a sought out an exceptional advisor. Brittany holds a Bachelor of Arts in Communication and Marketing from Auburn University where she was a collegiate cheerleader. In addition, she holds a Master of Science in Sport Management from Georgia Southern University. Before finding her calling in consulting, Brittany previously worked in the NFL, NASCAR circuit and also served AIDS orphans in Africa. Brittany has a special interest in life coaching and is on the path to obtaining certification in order to enhance her consulting realm. 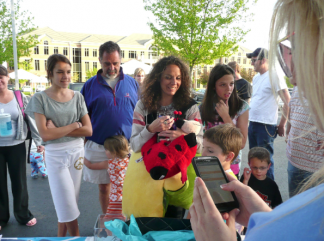 She resides in the southern city of Atlanta where she is active in Buckhead Church and outreach in the inner city. She loves learning new things and likes to refer to herself as a closet nerd! She Enjoys: Inspiring clients to reach their goals, traveling to new places, running 10k road races. She Enjoys: Reading and spending time with her husband and two dogs. 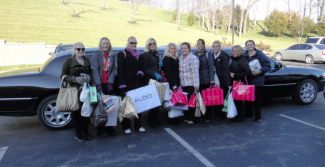 Our offices have one of the highest-trained teams in the country. 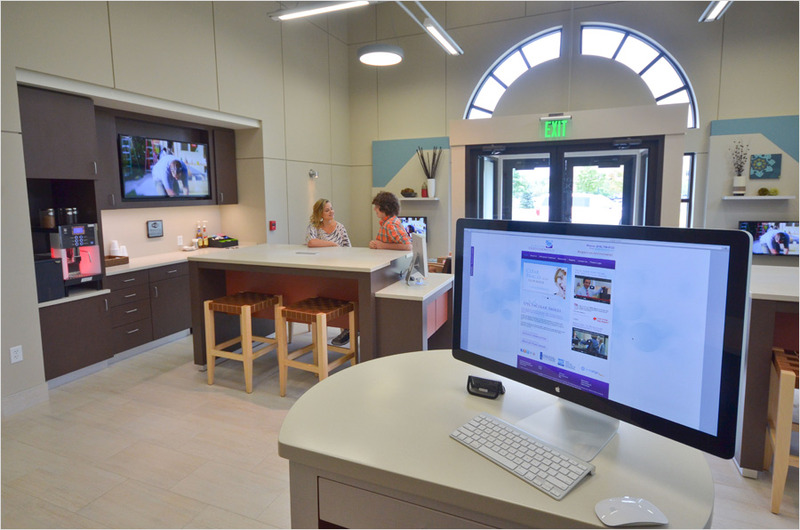 As teaching offices, our talented doctors frequently start working with Burleson Orthodontics as a stepping stone to opening their own practices across the country. Our offices have always recruited the most talented individuals, even if we know they will only be available for a short duration. Listed here are previous associate doctors with Burleson Orthodontics. We miss them and we know our patients love to follow their future successes. 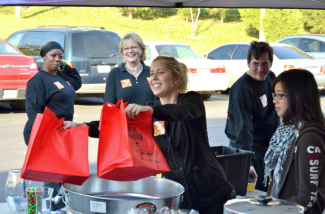 Here’s to our amazing team! Claire L. Stroede, D.D.S., M.S. Dr. Claire Stroede worked with Burleson Orthodontics for over 4 years, providing exceptional care to patients of all ages before finally settling on a practice location of her own in the Kansas City area. She now owns a beautiful practice with several locations in the Olathe, KS area. 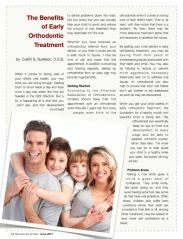 Pleased to work with Dr. Stroede for so many productive years, Burleson Orthodontics & Pediatric Dentistry enthusiastically refers its patients seeking an orthodontist closer to home in the Olathe area to Dr. Stroede and her team. If you love tennis, be sure to ask Dr. Stroede about her favorite hobby. She’s also quite the accomplished tennis player! Dr. Burleson is an author, speaker, teacher, and consultant. He delivers high-quality private coaching, practice management, business, and marketing courses to busy health professionals. Accepted by invitation only, some of North America’s most successful doctors seek out Dr. Burleson for private coaching. 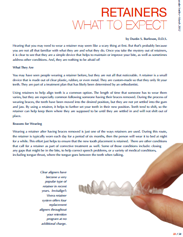 In fact, he has taught his system and philosophy to more than 1,900 orthodontists in 23 countries around the world! 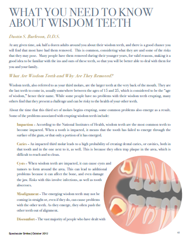 Dr. Burleson is an Assistant Clinical Professor in the Department of Orthodontics & Dentofacial Orthopedics at the University of Missouri – Kansas City School of Dentistry. He holds additional teaching affiliations with The Children’s Mercy Hospital and Saint Luke’s Hospital Cleft Palate and Craniofacial Teams. He maintains a private practice in Kansas City, Missouri and is a ShareCare Expert for Dental and Orthodontic patients. Dr. Burleson completed his undergraduate studies at the University of Missouri-Kansas City, where he earned a Bachelor of Arts in Biology, with distinction. He went on to receive his D.D.S. with distinction from the University of Missouri-Kansas City School of Dentistry, graduating with the highest academic standing in his class. Dr. Burleson then completed his certificate of advanced graduate study in Orthodontics and Dentofacial Orthopedics at the UMKC School of Dentistry, and his training in nasoalveolar molding (NAM) at The New York University’s Langone Medical Center and the Institute for Reconstructive Plastic Surgery. 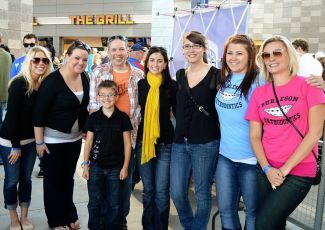 Dr. Burleson loves Giving Back To The Community and supporting the Smiles Change Lives program. by Dustin S. Burleson D.D.S. 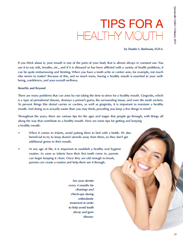 Is your child hiding his or her smile? 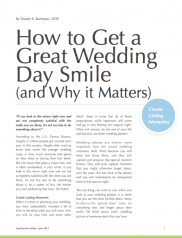 Are you worried about how his or her (crooked) smile might affect his future? 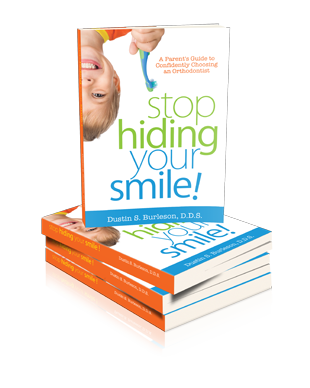 If so, speaker, teacher, and author Dr. Dustin Burleson has a message for you and your child: “Stop Hiding Your Smile!” Stop Hiding Your Smile is a guide for parents who are unfamiliar with orthodontics. Could Your Child’s Smile Benefit from Seeing Doctors Who Do Much More Than Practice in Their Field? Here at Burleson Orthodontics of the Kansas City, Missouri area, we love nothing more than unveiling a once shy patient’s proud new smile! Did you know that 90% of the second graders whose parents bring them into our office don’t even need braces yet – even though another orthodontist may have recommended them? In fact, the majority of kids who wait until they are eleven or twelve will enjoy the exact same results as a child of eight, but you’ll spend much less time and money treating their smile. 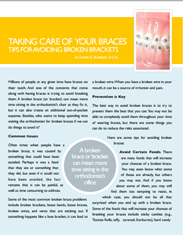 We will never put braces on a patient who doesn’t need them. If another orthodontist has prescribed braces for you or your child, please don’t hesitate to call (816) 759-0123 and schedule a free “no- pressure” second opinion with us. 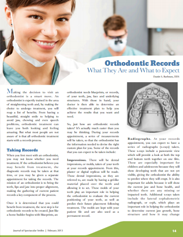 So What Makes Burleson Orthodontics of Kansas City, MO Different? 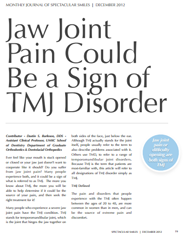 Our doctors don’t just treat orthodontic problems and pediatric patients. 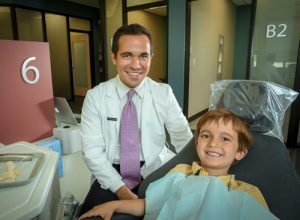 At Children’s Mercy Hospital, we teach orthodontists how to become better orthodontists and at UMKC we teach pediatric dentists how to become better pediatric dentists. Two out of three of our highly-trained doctors have children of their own. 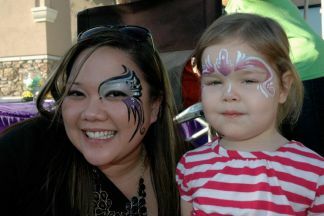 The other routinely enjoys spending time with her small nieces and nephews. Because of that, Doctor Claire, Doctor Amy and Doctor Nahal can empathize with a young child’s fears. 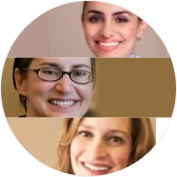 We invite you to Read More About Our Doctors. Our goal is to provide our patients with high-quality orthodontic care at a reasonable fee while maximizing patient convenience and comfort. Burleson Orthodontics is committed to careful examination, history, and diagnosis. We use advanced diagnostics and digital records and perform a thorough analysis of the diagnostic data. Treatment plans are intelligently designed to address your concerns and we carefully execute the treatment plan. To attain our objectives, we remain focused on solid research and tried-and-proven treatment techniques. We also invest heavily in continuing education, facilities improvement and well-educated, trained staff, disregarding a “quick fix.” We feel that short-term objectives in dental care are not the way to achieve superior results. Rest assured that we will extend to you every courtesy, consideration, and recommendation that we would to our own family members. 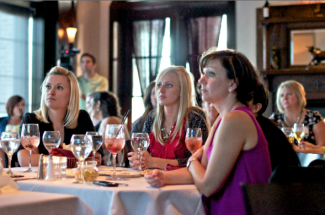 Once you walk through our doors, you’re one of the family! 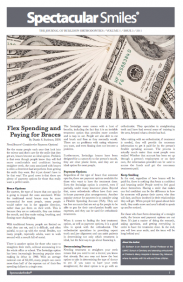 Know A Deserving Child Who Can’t Afford Braces? 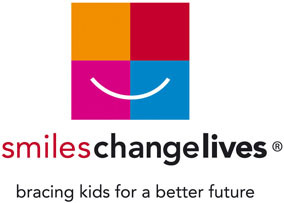 See How You Can Help Us Give Back To The Community With The Smiles Change Lives Program! 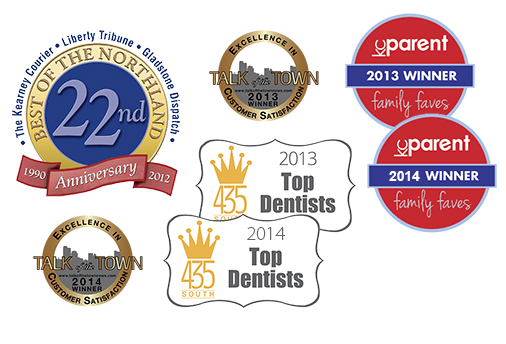 Your smile specialists at Burleson Orthodontics & Pediatric Dentistry are award-winning professionals, recognized by our peers and the community as an office of excellence.